The Panhellenic Federation of Alzheimer’s Disease and Relative Disorders is a non-profit organization that was founded in 2007. 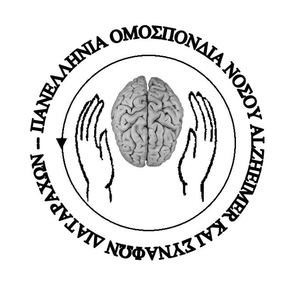 The Panhellenic Federation consists of 38 linked Associations of Alzheimer’s disease all over Greece. lts’ main objective is the coordination and cooperation of companies – members in the context of social contributi on and awareness of the patient’s with dementia and their caregivers’ needs. lts’ aims are the creation of structures, services and conditions that improve the quality of I ife of patients and their carers, the promotion of research, the education and training for all the stakeholders, the provision of useful information and advice on dementia problems and the prevention of the marginalization of people with dementia. Anziani e Non Solo is a NGO working since 2004 in the field of social innovation, with a specific focus on management of projects and realization of services and products in the field of welfare and socia I inclusion. The activities carried out by Anziani e Non Solo concern: – Training and support to family carers, informai and formai carers – Support to fra il and dependent elderly, active ageing and intergenerational activities – Prevention of elder abuse and discrimination – Support and empowerment of disadvantaged young persons: skills development, social inclusion and school to work transition – Fight against poverty, support to employability and to social inclusion of disadvantaged groups. HABILITAS Association was created in 2007 with the aim to contribute to the development of adult education. Habilitas delivers professional adult training and counselling services in social, psychological and educational projects and programs. In present time, Habilitas is authorized by the National Authority of Qualifications to deliver professional training for the qualification “Home caregiver for elderly” and to issue qualification certificates, EU recognition. Habilitas is continuously developing training programs for elderly home care workers, according to their identified needs (improving practice, communications skills, improvement of persona! skills, respecting elderly rights, identifying and preventing elder abuse) and works in projects focused on the elderly involvement in the community. Challedu (Greece)– ‘Challedu- Play, learn, evolve’ is an Educational Non Governmental and Non for Profit Organization with the aim of developing and implementing game solutions in order to transform the learning experience to a creative, interactive and holistic procedure and promote the inclusion in the society. Our activities cover the three main areas: non-formai education, education for persona! development and professional training. More specifically: – creation of game-based materiai and games of all kinds (role playing games, experiential games, card games, board games, digitai games, spacial games etc) based on school curriculum, tailor made specifications, specific learners groups or specific vulnerable group. – capacity building workshops to educators and trainers on specific topics, predesigned game-based tools and solutions – capacity building workshops to educators, different scientists (phycologists, doctors, museum curators etc), NGO , etc, focusing on delivering them knowledge on how to create game based solutions according to their expertise and focus group. University of Western Macedonia founded on 2003 under the Greek Authorities, with a decision of Greek Government at 11 /04/2003 (P.D. 92/2003, G.G. 83/A/11-04-2003). University of Western Macedonia consists by three departments in the city of Florina and three departments in the city of Kozani. The internationally research oriented University of Western Macedonia (UOWM) is a socially committed institution with 6 Departments, Postgraduate Programs and PHD Programs, a highly qualified academic staff, extensive international links in both research and exchange programs and a vibrant student community. Novel practices deliver academic and administrative decentralization enhancing the sense of unity within the academic community. Fostering fully incorporation of ICT in every day practice, the UOWM invests in innovative educational programs and multidisciplinary fields of research that correspond to the needs of the modem world. Till now, UOWM has managed more than 150 projects (both, National and European).